THE FIRST PERMANENT RESIDENTS OF SEABROOK ISLAND as it was being developed in the early 1970s were the Lowrys, Britt and Doodles. Even without the chapter about a reunion between two long-separated siblings, their story goes well beyond interesting. Realtors at a beach resort further up the South Carolina Coast, they decided on a career change of monumental proportions. They wanted to serve their Church (Presbyterian) for the rest of their working lives as missionaries, and they were willing to serve anywhere in the world the church leadership felt they could be of most value. The Lowrys’ real estate experience and personal attributes immediately caught the eye of the Episcopal Church, which, some years before, had been given about 1,300 acres of Seabrook Island, including ocean and river frontage, by the Morowitz family. The terms of the gift specified that the land could be sold but that the proceeds were to be used to establish a church camp on 200 acres of the property. The Lowrys were chosen to develop and lead what was to become Camp St. Christopher. Their talent and skill, along with their warm, friendly and caring personalities, made the camp the wonderful and vibrant experience it has been for more than 30 years. Far from the Carolina coast, another heartwarming story was developing. 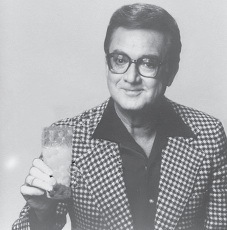 The late Steve Allen, the father of late-night television fare and the first host of “The Tonight Show,” knew that he had a slightly older brother. His mother told him that his brother had to be given up for adoption shortly after Steve was born because, with no father in the picture, she was unable to care for them both. As the years passed, it became more and more important to Steve to try to find his long-lost brother. To this end, he told his story with increasing frequency on talk shows and convinced various magazines, including Ladies Home Journal, to publicize his search. Late one evening, back in the Lowcountry, Doodles got a call from her father, Young Smith, a respected 65-year-old lawyer in a mid-sized North Carolina town. He asked her to do two things. First, she was to buy the current issue of Ladies Home Journal and read the story about Steve Allen’s search for his half brother. The article featured a grainy picture of Steve and his mother with another small, slightly older boy. Second, he asked her to go through a box of family pictures in her attic. While he had no idea why, the photograph looked vaguely familiar to him. When Doodles called her father with the news that the magazine photo matched one in her attic, he was shocked. He wasn’t even aware that the Smiths were not his biological parents. They had to be his real mom and dad. They had raised him in a loving home, provided for his every need and helped pay for his education. Anger soon followed surprise. Why had he been given up? What kind of person was his mother to do this to him? He finally realized that he was separated from his brother because of his mother’s love. She did only what was best for her little boy–a child she could not support. How hard it must have been to give up her firstborn. So carefully had she chosen a family to raise him that he never even suspected that they were not his birth parents. He realized that the mother he never knew had to have been a remarkable, strong, bright and loving woman, even in the face of almost overwhelming circumstances. The brothers–and family members, including Steve’s wife, actress Jayne Meadows–were reunited at the Lowry home and Camp St. Christopher, almost 65 years after they were separated.